Yesterday Apple CEO Tim Cook announced via press release that he is promoting two company vets to the role of Senior Vice President. 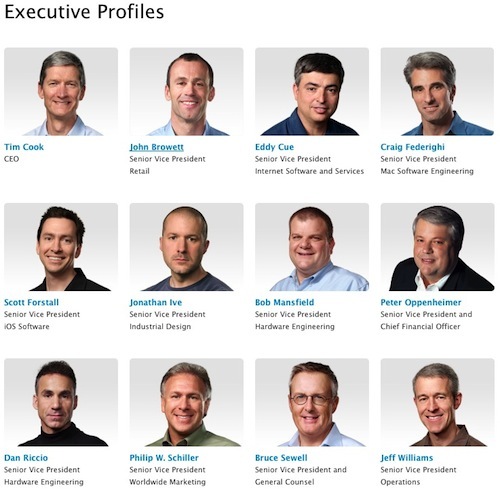 "Apple [has] announced that Craig Federighi, Apple’s vice president of Mac Software Engineering, and Dan Riccio, Apple’s vice president of Hardware Engineering, have been promoted to senior vice presidents. Federighi and Riccio will report to Apple CEO Tim Cook and serve on Apple’s executive management team." In the same press release, it was announced that SVP Hardware Engineering Bob Mansfield, who announced his retirement earlier this year will be staying on and continue to report directly to Mr. Cook.